I spotted a slightly different version of this quote on the outside of a training room door at a venue I was working at this weekend and it hit home. We can be ordinary, mediocre, average or we can decide to be excellent. It’s not something we learn to be it’s something we decide to be. It’s something we have to decide for ourselves, it’s not something other people can make us become although they can encourage us with praise and rewards. So will you decide to be excellent? Where will that decision lead you? Will it cause you to do things differently? To think differently? To learn new skills? 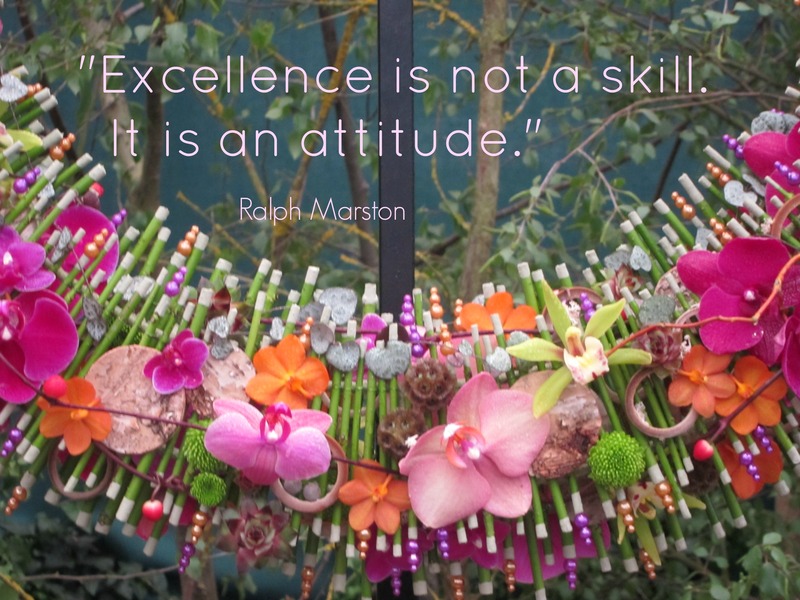 Will you be excellent in everything you do or do you want to be known for excellence in just one aspect of your life? What will help you to be excellent? Who can help you to succeed? Will you decide to be excellent or are you content with average? This entry was posted in Business inspiration, Personal development and tagged aspiration, attitudes, excellence, goal setting, skills by glendashawley. Bookmark the permalink.